On July 12th 1916, Ernest Shackleton launched his third effort to reach the 22 men, left stranded on Elephant Island. The rescue mission, began on April 24th, with the voyage of the James Caird, when six men set of to traverse 800 miles of the notorious Weddell Sea, in a lifeboat. 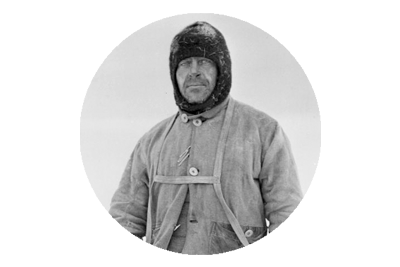 Shackleton, Crean and Worsley had twice previously attempted to reach their comrades stranded on the desolate outcrop, and had twice seen their gallant efforts thwarted by the impenetrable expanse of pack ice, which encased the tiny island. On May 23rd the three men left Husvik, South Georgia aboard the Southern Sky, a vessel they had been helped acquire by the generosity and understanding of both Mr. Sorlle of Stromness and Husvik’s magistrate, Mr. Bernsten. With a crew of volunteer whalers on board the mission made good early progress, but ultimately the endeavour was halted by sea ice, and despite every effort to probe a progressive pathway, with fuel running out Shackleton had no option but to abort the effort, on May 29th. The ship was steered toward the Falkland Islands which lay 500 miles away, but 100 miles closer to their position than South Georgia. The Southern Sky arrived at Port Stanley on May 31st 1916, and the world would soon learn the tale of the phenomenal plight of the Endurance Expedition. Whereas the island of South Georgia had no means of contacting the outside world, Port Stanley did have a cable link, which Shackleton used to contact London with a message to His Majesty King George, with the first account of the still unfolding saga. “Rejoice to hear of your safe arrival in the Falkland Islands and trust your comrades on Elephant Island may soon be rescued. Meanwhile the island’s governor Douglas Young was striving to aid the men in their efforts, but could only succeed in determining that no vessel suitable to the required rescue was available. 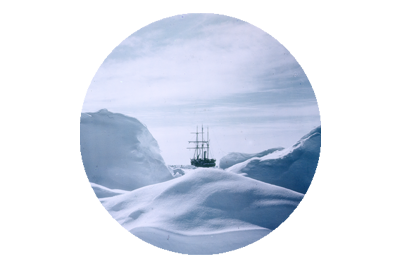 The British Admiralty soon informed Shackleton that any relief they could muster would not arrive before October of that year. This would simply be too late! Shackleton was acutely aware that the decrepit circumstances of existence on Elephant Island, that he and the crew of the Caird had left behind on April 24th, had by now probably deteriorated to a point where men, who had endured so much utter deprivation and torture, were failing in the face of courage, to the laws of nature. The Uruguayan government via the British British Minister in Montevideo, kindly offered the services of a fully equipped vessel, Instituto de Pesca No. 1, which they sent to the Falklands for immediate use. It’s departure from Port Stanley on June 10th was only just preceded by it’s arrival there, such was Shackleton’s haste to liberate his men. 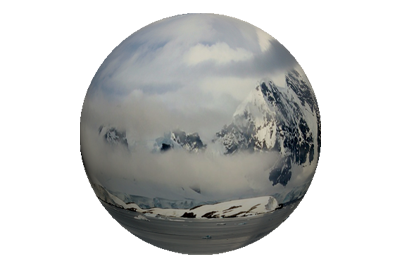 Bobbed and bounced, float and flung, forward, onward through the Southern Ocean and on day three Elephant Island was sighted approximately 20 miles ahead, but the momentum of the rescue was immediately halted yet again by the damned persistent pack ice. It’s crescent formation satillitically grinned down upon the 22 stranded desolate souls, that clung like parasites to Elephants Island’s manifestation of terra firma, among a relentless environ of ice, convulsive sea and hopelessness. And as Shackleton, Crean and Worsley approached, within miles, yet Antarctic inches, of rescuing their comrades, they were once again repulsed by the rapid and unpredictable formation of sea ice, that had relentlessly challenged, haunted, defeated and forged them. But failure was now imminent, despite many cautious determined attempts to violate the pack ice, all of which proved hopelessly futile. To the relief of the retreating rescuers, despite their certain sighting of the ominous peaks of the islands icy mountains, a shroud of dense fog which clung to the shoreline, would have masked their presence from their bedraggled comrades, who had somehow strived to persist in awaiting their rescue. With engines knocking and the fuel bunkers almost empty, Instituto de Pesca No. 1, limped back to Port Stanley, defeated but with the presence of HMS Glasgow at the port the men received a hero’s welcome. 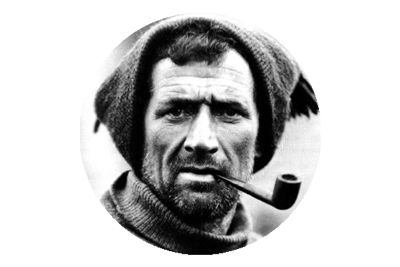 It has to be pointed out that at this juncture Shackleton was inundated with the demand of a modern day celebrity. The story of the Endurance and it’s men was going viral, as quickly as the media of the day could proffer, but nothing could detract or dissuade him from rescuing the men he had sworn to save. Having returned to Port Stanley in defeat, hope flickered with the arrival of the British Mail boat Orita ,upon which Shackleton, Crean and Worsley would cross to Punta Arenas in the Magellan Straits. They were greeted on arrival there to more than a heroes welcome, entirely befitting of such men, but they merely sought help and not accolades, and shunning the obstacle of imminent fame, demanded priority for their crew mates. And so it was on July 12th 1916, that Emma, with Tom Crean, Frank Worsley and Ernest Shackleton on board, set sail, in yet another – their third attempt to reach the men on Elephant Island – men who had no idea that their comrades had successfully conquered the notorious Weddell Sea and traversed South Georgia’s rugged uncharted interior, in an effort to rescue them. For those 22 men, they waited with almost hopeless optimism of a highly improbable rescue, that they must have naggingly thought had surely floundered somewhere long before the intended target of South Georgia. Ice would again doom the relief effort and with a heavy heart Shackleton had to retreat again. As Emma splutterd defeatedly away from Elaphant Island’s shores, the castaways were oblivious to the fact that the attempts to rescue them before the onslaught of the Antarctic winter, had by now numbered three.